Ben Fry and Casey Reas talk about Processing 2.0 « Adafruit Industries – Makers, hackers, artists, designers and engineers! 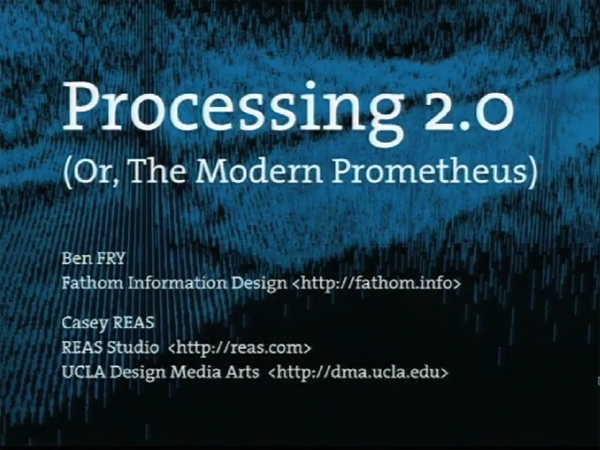 In this video of their talk from the Eyeo Festival, Ben and Casey talk about the forthcoming Processing 2.0. You have to click-thru the image above to watch it, because embedding is disabled for the video. Since 2001, Ben Fry and Casey Reas have developed Processing, an open source programming environment created for the visual arts. In this presentation, they discuss the past, present, and future of the project as it nears the 2.0 release.